For many years, I have been involved in teaching, in practice, at the veterinary universities & giving educational talks in the UK & abroad. I regularly provide seminars & education locally & in practice, at national & international veterinary congresses, as well as online, & write articles for the veterinary press on various subjects for veterinary nurses, pet professional & pet owners. My areas of specialist interest include general & advanced level veterinary oncology, clinical nutrition, analgesia, medical nursing & first aid, as well as behavioural/emotional health & welfare, for dogs & cats. I now extend this to my training & behaviour work too. So, whether it's puppies or oldies, kitties, clickers or dog-bite prevention (or feel free to suggest a topic), Inspiring Pet Teaching offers plenty to help you & your clients to better understand the world of animal training & behaviour management! I currently collaborate with ONCOREepd, International Cat Care/ISFM, Karen Pryor Academy, & Fear Free to provide a range of nursing, training & behaviour lectures & modular courses for veterinary nurses, as well as course content. 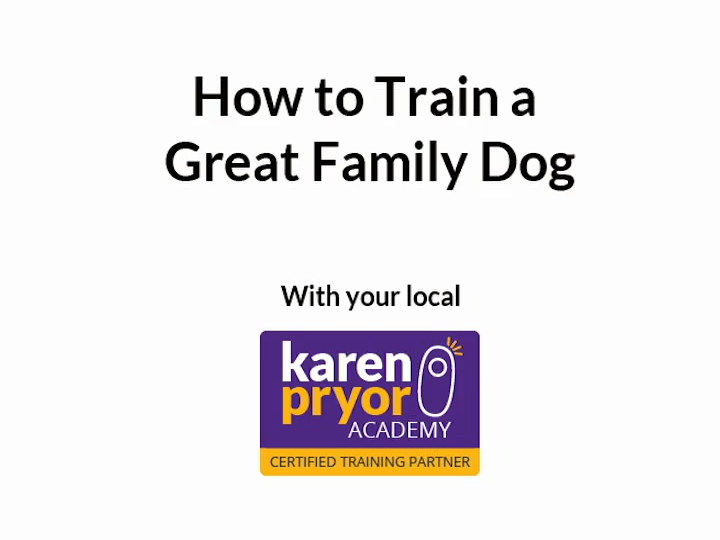 I am a faculty member of the Karen Pryor Academy & offer training courses for professional animal trainers (see below). Puppy/kitten socialisation & early learning - how to get it right! Why does (or doesn't) my dog/cat…? & what can I do about it?! Canine/feline training & "behaviour 101"
If you would like to discuss me providing lectures, workshops or seminars, e.g. for veterinary nurses, owners, breeders, shelter staff, etc., please get in touch & I will be happy to help you arrange it. I also have a bank of great pre-recorded medical & oncology nursing lectures, with notes - contact me for more information. We are proud to offer the world-leading Karen Pryor Academy's flagship Dog Trainer Program to UK & European students - click here to find out more! Please contact me if you would like to enrol +/- if are interested in hosting a seminar, e.g. at your school, club, veterinary practice, animal shelter, CPD event, etc.